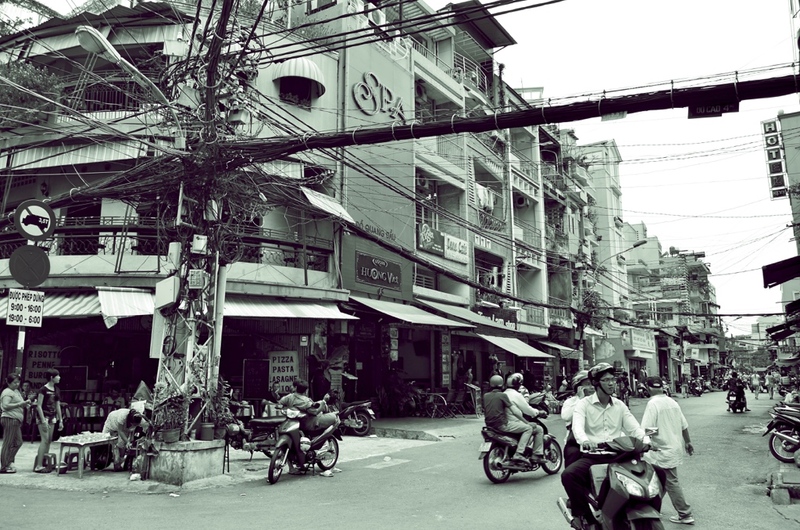 After a week of shivering up in north Vietnam, it was so nice to get back to the heat in Ho Chi Minh. 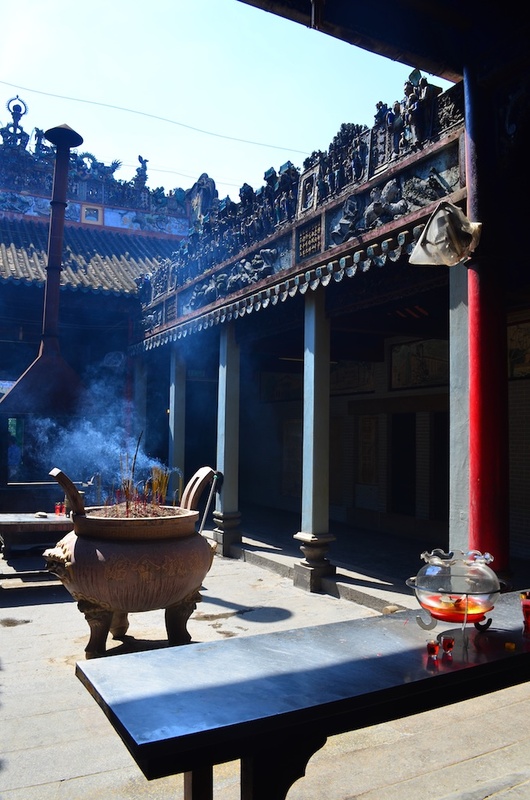 I’m not sure if it was partly that and partly being back in a (fairly) civilised city after rural mountain life, but I really liked Ho Chi Minh. A lot of people we had met previously had said how un-charming the city was – but I was pleasantly surprised. We spent a lot of our time just wandering around the city at our own pace. It was a great atmosphere, especially in the hustle and bustle of the main streets. I also found it to be quite arty – we passed a lot of art galleries where you could step inside and watch people painting! 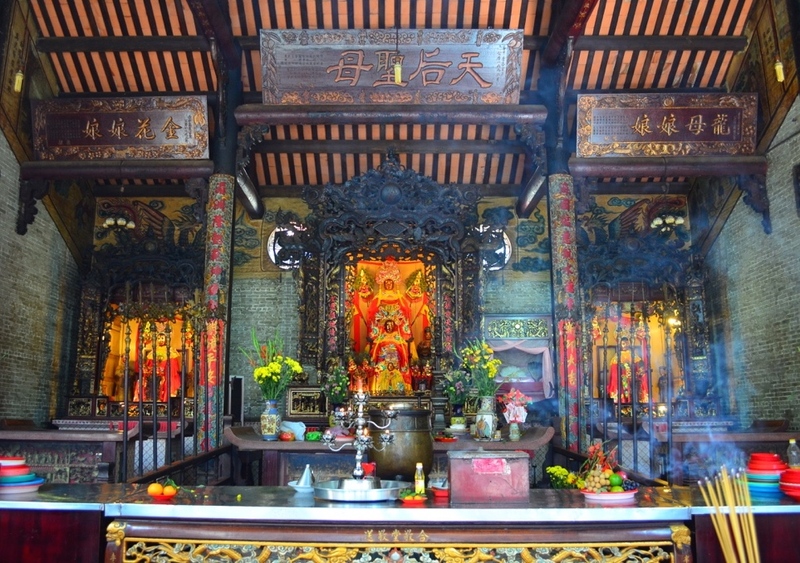 As far as activities in Ho Chi Minh go, take a taxi or the bus to the Notre Dame Cathedral just outside the city centre, which is free to step inside and have a look (and in a nice little area with a shopping mall and a cinema if you fancy a break from being cultural); and visit the famous Ben Thanh market, a large indoor maze of stalls selling everything you could ever need! I actually stocked up on a few items I needed there without even having to find a supermarket! Unlike a lot of the other markets we’d visited though, the market people did harass you, constantly touching your arms, throwing items in front of your face and beckoning you to their stalls – which did get annoying after a while. 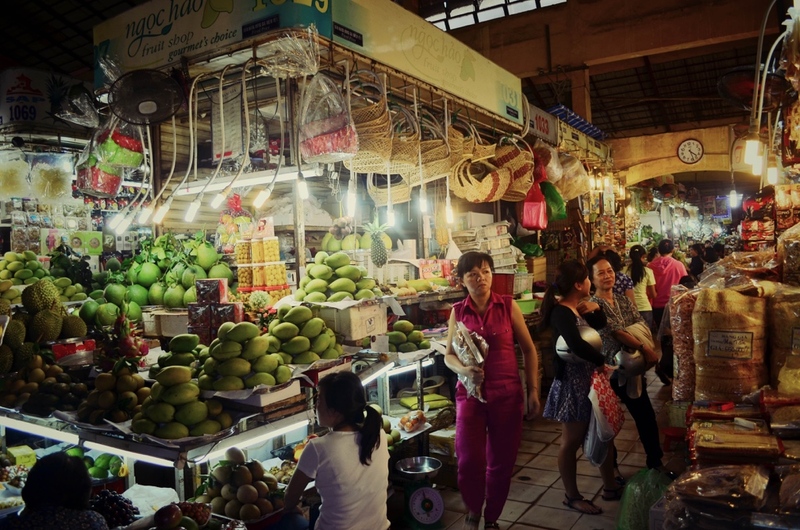 Out of all the markets, this one is the best one and I wouldn’t bother going to Bin Thai market in Chinatown, which is more homeware and food and not very much to it. Other than this, take a visit to the War Remnants museum, which was really interesting especially if you don’t know that much about the Vietnam war which I didn’t, but it does have really graphic and disturbing images of war scenes and the war victims, a lot of whom are now disabled and disfigured because of the ‘Agent Orange’ substance used by the Americans. 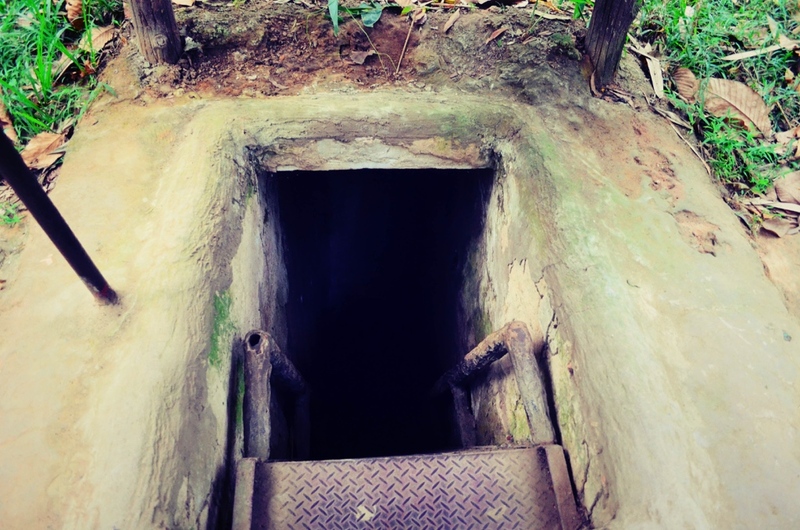 But the main ‘must-do’ in the city is the Cu Chi War Tunnels, which you have to visit as part of a tour. For our tour, we ended up having as our tour guide Mr Binh, an army veteran, who was Vietnamese but who actually fought for the American army against his own people! He made constant jokes about how he was such a bad person and was full of amazing stories which sounded so unreal it was hard to believe him by the end of the day! I did feel like we had a really good insight into the war and the tunnels though, so have a look on Trip Advisor and see if he’s still doing the tours if you’re going, as I would recommend him! But he did keep saying how he was planning on retiring soon…! 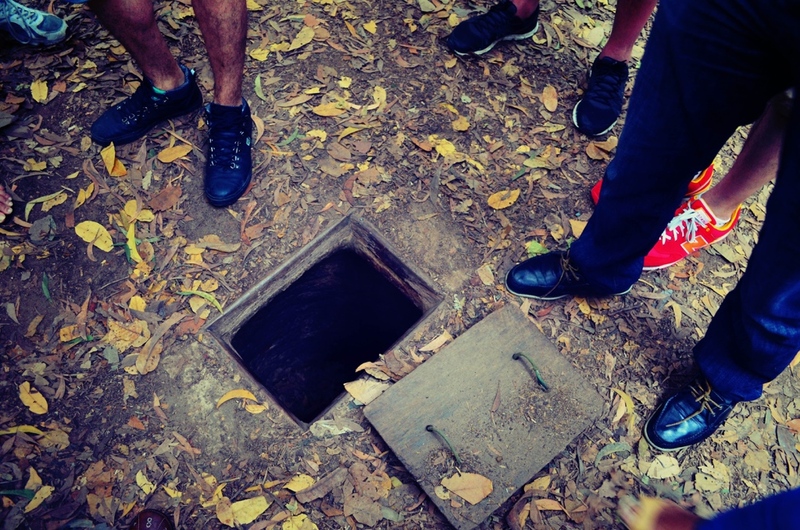 The tour itself takes you through the forests where you’ll see the hiding spots in the ground which lead to the maze of tunnels – they are tiny (because they were made for the tiny Vietnamese soldiers) but you can actually get in them yourself and I was surprised that people could fit in there! You can have a go at firing guns yourself at the shooting range, and you can even climb through an actual tunnel, although this one has been modified for the European/American tourists and made slightly wider than the original 80cm diameter! I didn’t think I’d have a problem doing it, but after 30 metres I had to get out as it was so ridiculously claustrophobic and humid and horrible – I couldn’t believe people actually lived down there for days at a time, and the scariest thing to me was that it only happened 40 years ago…All in all it was an eye-opening experience and a poignant way to spend our last day in Vietnam. Great post. Close friends have recently returned from Vietnam.